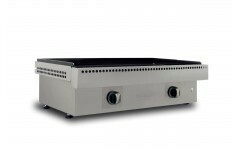 The Enamelled Extreme 75 is the essential set for your plancha grill. It includes the accesories needed to enjoy the authentic plancha cooking in your garden. It is the must-have of this summer! Make the most of your plancha with the Enamelled Extreme 75 pack. It includes the plancha Extreme 75 made of carbon rolled steel, the CBU75 cart and the HC75 cover. The plancha is equipped with a removable plancha griddle, 6 mm thick and with 5 cm lip. It is also composed of an electronic piezo igniter and a liquid container to the front. 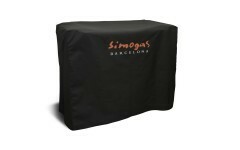 Protect your plancha from the weather when it is not in use with the HC75 cover and keep it for many years. Use the CBU75 cart to transport your plancha and gas bottle everywhere you want. Enjoy the summer with your family and friends by cooking in your garden with the Enamelled Extreme 75 pack!